Here’s one you haven’t tried before: a Mountain Comfort Special! This colorful drink can be served in a martini glass or on the rocks. What you’ll need: Southern Comfort (or your favorite Whiskey), Mountain Dew, and Grenadine. Pour 2 ounces of Mountain Dew and 1 1/2 ounce of Southern Comfort in a shaker over cracked ice. Shake and then strain into your martini glass or rocks glass. Pour in a splash of grenadine carefully; it’ll settle at the bottom. 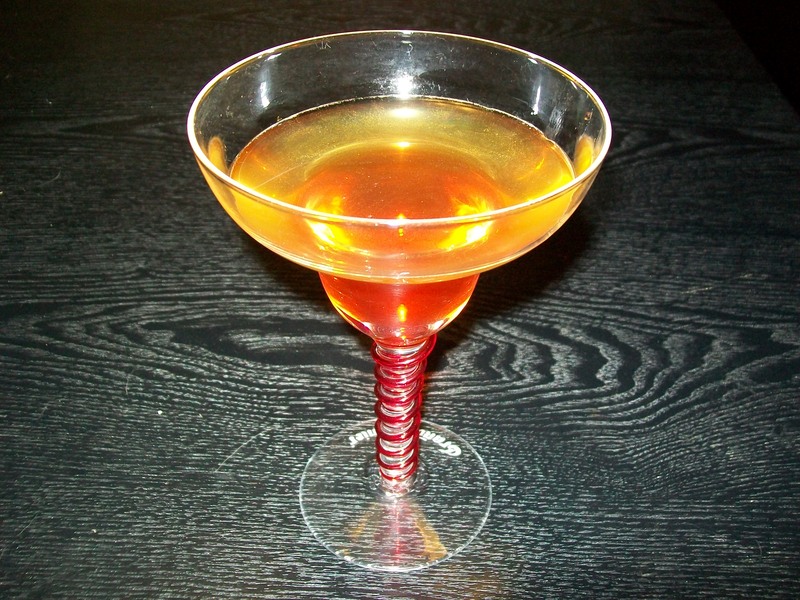 How I like it: This one really is best with Southern Comfort, but again, you can use any brand rye whiskey in a pinch. With a well-chilled glass, this makes a great drink for warm sunny days. Hopefully, we’ll get some of these in Syracuse soon. And as always, drink responsibly! Oh, and if you drink this one, let me know. Happy April Fools’ Day! Sounds like an interesting drink. Maybe one I will have to try sometime.